This difficult, brilliant and impressive work [Duruflé Prelude, Adagio and Chorale-Variations on Veni Creator, Op. 4] left the audience in breathless awe, only to break out in greater applause." "Jonathan Ryan presented one of the convention’s finest recitals. The program was all the more remarkable for being delivered from memory, a remarkable feat in and of itself." "The recital began with the Dupré Symphonie-Passion. Tempo was excellent; playing was clean, accurate, and confident. The crescendo to full organ was seamless and seemed effortless. Toward the end of the first movement, the sense of a singing line was most palpably evident. [...] In the other movements, Ryan used the colors of the organ to good effect, and with unceasingly varied creativity. This was especially clear in the third movement, where the dynamic and timbral range was as wide as one could hope for. Throughout, there was a sense of clear, thorough mastery of the music, and a clear vision for its interpretation." "We then heard two of the Schumann opus 56, numbers 5 and 4. As the first began, I was struck, again, with a sense of fresh registration. Both of these were played with great skill; one never missed the canonical writing." "Ryan ended with the Sowerby Pageant. [...]. He made the ferocious difficulties of Pageant seem like minor issues. Jonathan Ryan is one of the brightest younger artists in the field today; his Cambridge recital augurs a long and distinguished career. "Ryan will take your breath away"
"Ryan opens with a lively and spirited performance of Bach's Prelude and Fugue in D (BWV 532) in which we are quickly introduced to the performer's technical skill..."
"Performer and instrument project very effectively in nice acoustics on this recording, with skilled and communicative playing, imaginative programming of interesting repertoire and an exciting modern organ. Alongside 'standard's' by Bach, Schumann, Dupré and Tournemire is some Byrd (surprisingly working quite well here), a set of newish American hymn preludes, some ecclesiastic George Oldroyd and a riotous extract from Petr Eben's Faust. 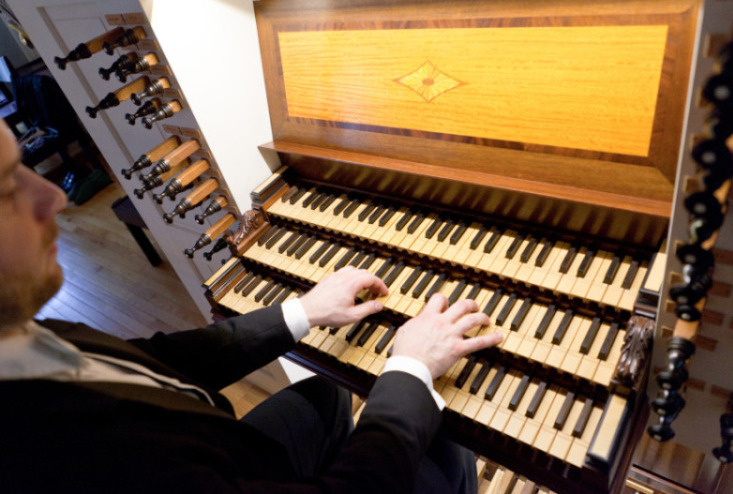 This is a good recital of known and less-known music played stylishly on an interesting organ..."
"Jonathan Ryan is one of the rising stars of the American organ scene, with no fewer than six national and international first prizes under his belt. Little wonder, with such a bomb-proof technique...The considerable technical difficulties of Willan's regal epic [Introduction, Passacaglia, and Fugue, Op. 149] are handled with aplomb...Further evidence of Ryan's considerable technical prowess is evidence in Ad Wammes's transcendental, if typically quirky, Ride in a High Speed Train which...was written for performance by non-human means..."
"Jonathan Ryan is demonstrates his virtuosity... "
The order of works was refreshingly varied...Marcel Dupré's Prelude and Fugue in B Major was the ideal conclusion to the recital: powerful effects, on a broad scale: virtuoso, rapid, never-ending runs, responses in far-away parts of the organ, bustling motion in sharp rhythmic pulses and bombastic Tutti — this was the mark of a top-class organist." ” [...] Jonathan Ryan presents a very interesting program of pieces masterfully played. With an extremely wide repertoire range [...], including a commissioned work by Zachary Wadsworth, Ryan demonstrates exceptional technique, considerable depth of musicianship, imagination, and passion. This is a player to watch! He clearly has much to say." "More impressive than the thrilling crescendo and climax of Bach’s Sinfonia from Cantata 29 or the virtuosic Etude Coulée of György Ligeti, was the intimate, emotional phrasing of the Bach Fourth Trio Sonata’s Andante movement....Virtuoso as he is, Ryan programmed many reflective pieces. Surely Ryan’s performance [of George Oldroyd's Liturgical Improvisation No. 1] evoked the peaceful countryside for as the piece ended, a sigh escaped from the audience as everyone came back to reality....Ryan had given the Lincoln audience exposure to the perfect shaping and expressiveness of his performance—he made the organ speak, and it spoke to everyone’s lives and hopes." 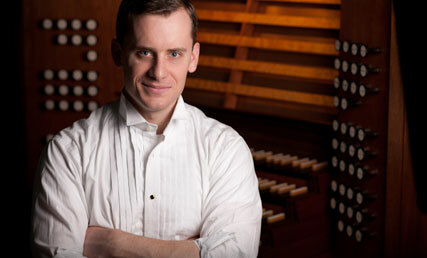 "...the melodic wealth of Tournemire's use of Marian chants was highlighted by Ryan's supple sense of rhythm and phrasing...Ryan's exhilarating playing highlighted the immense diversity of sound in the organ repertoire to which Tournemire was drawn, and the fantastic possibilities opened up when playing the repertoire on an organ of symphonic scope." We honestly cannot wait to have him back." 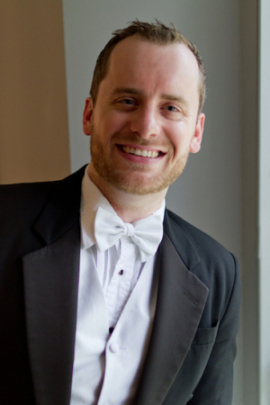 "Jonathan Ryan's playing is elegant in all genres and periods of the organ repertoire. Particularly stunning were the Bach Prelude and Fugue in D Major, the Balbastre Noël and the Tournemire Improvisation on the "Te Deum". His superb artistry, both technically and musically, make him one of the finest young performers in the organ world today." "As a headline performer on our Kansas City series for the fall of 2010, Jonathan Ryan, presented a thoughtful program with remarkable musicianship. Performing from memory with an intuitive sense to find colors of the instrument, he engaged a broad spectrum of the audience with a variety of works by Bach, Balbastre, George Shearing, and David Conte in the first half. He finished the program with a masterful performance of the Passion Symphony of Dupré which brought the listeners to their feet."